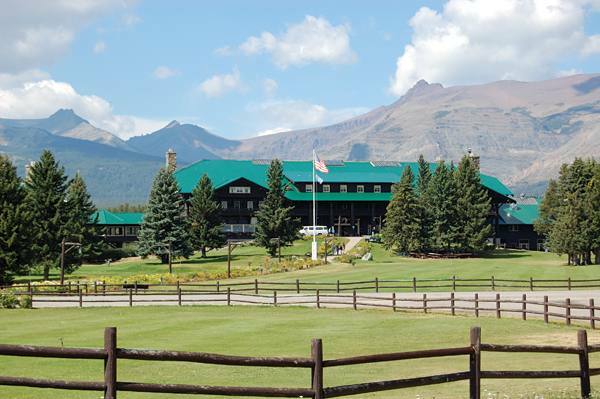 Glacier Park Lodge is one of Glacier National Park’s best lodges, but is it perfect for your family’s Montana vacation? Find out with our unbiased review. Glacier Park Lodge was one of the first lodges to be built by the Great Northern Railway in 1913. In fact, Glacier National Park Lodge was the brainchild of Louis W Hill, son of the railway’s founder, James J Hill. The lodge is now listed on the National Register of Historic Places. The Lodge is located just outside the southeastern border of the Glacier National Park in the small town of East Glacier Park, Montana. Located on the junction of Hwy 2 and Hwy 49, it is the unofficial gateway to the Glacier National Park. A fairly luxurious standard of accommodation is provided within the historic Swiss-style log cabin architecture. One thing that amazed me was the sheer size of the 60 logs which were brought in from the northwest USA. They all have diameters of over 36 inches! 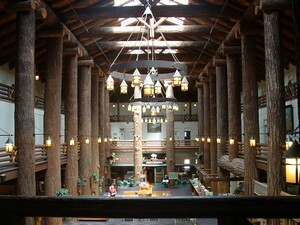 No wonder the local Blackfeet Indian referred to it as Omahkoyis, which means Big Tree Lodge! The nearby Great Northern Steak and Rib House offer hearty food, cocktails and an opportunity to make new friends in the lounge bar. There is even a luxury Day Spa where massages can ease over-tired muscles after a day’s hiking. Is Glacier National Park Lodge the Best Hotel For Your Family? For old-world comfort in a unique location, Glacier National Park lodges are a superb experience in a totally unique and beautiful location, yet with all the comforts of home. Accommodations are spread over four floors with almost all rooms having fabulous mountain views, a private bathroom and a choice of double, queen or twin beds. An alarm clock, telephone and hairdryer are provided, along with an iron and ironing board (available from Reception). Guests have to forego the modern conveniences of a bathtub, radio, internet, television, coffee maker, air conditioning, and mini refrigerator, but hey, you’re here for the scenery, right? The Dining Room offers breakfast, lunch and dinner in a casual setting and there is also a Cafe and a separate Bar and Grill for Glacier Park Lodge guests. All Glacier National Park hotels are eco-friendly and the Glacier National Park Lodge is no exception. The lighting is energy efficient, toiletries are from Gilchrist and Soames’ environmentally friendly collection, in BeeKind paper bottles to eliminate plastic waste, and recycling is encouraged. Alpine Wilderness themed suites and ADA accessible rooms are also available. Have you stayed at Glacier Park Lodge? 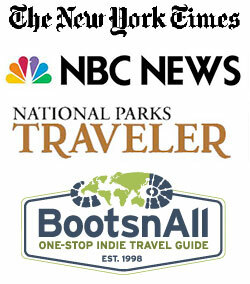 Share your review of one of Glacier National Park’s most popular hotels.